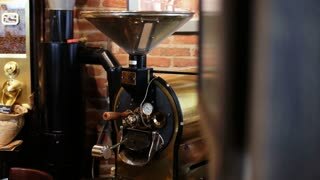 Industrial coffee roaster. 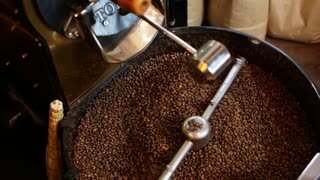 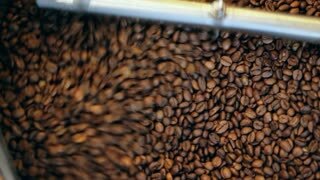 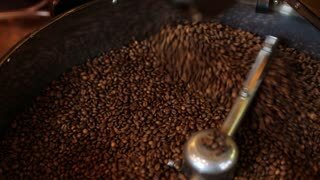 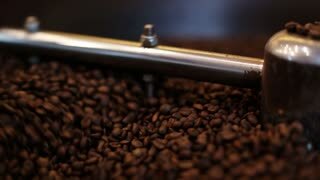 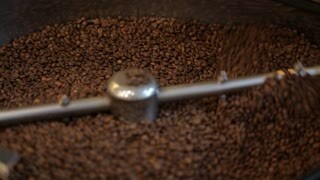 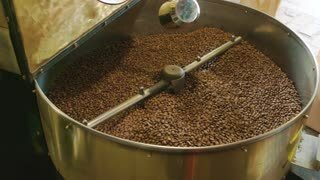 Brown roasted coffee beans. 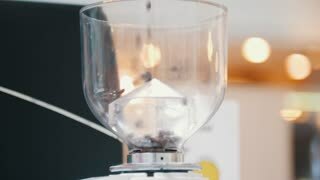 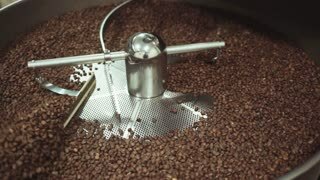 Coffee industry information.